1. Becker, AE. 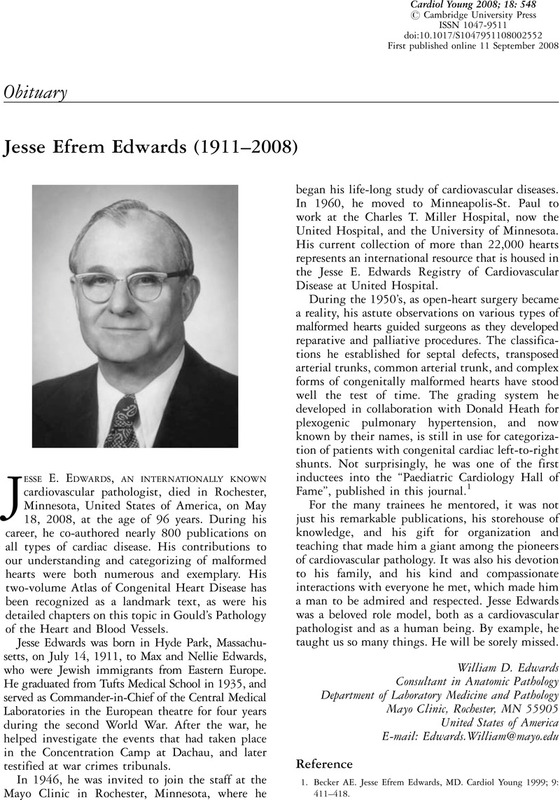 Jesse Efrem Edwards, MD. Cardiol Young 1999; 9: 411–418.